PHP, HTML, CSS, Webdev tools, etc. Have you ever wanted to have some data you have gathered (e.g. your website’s visitor statistics, poll results etc.) to be displayed visually as a fancy graphical chart on your website? 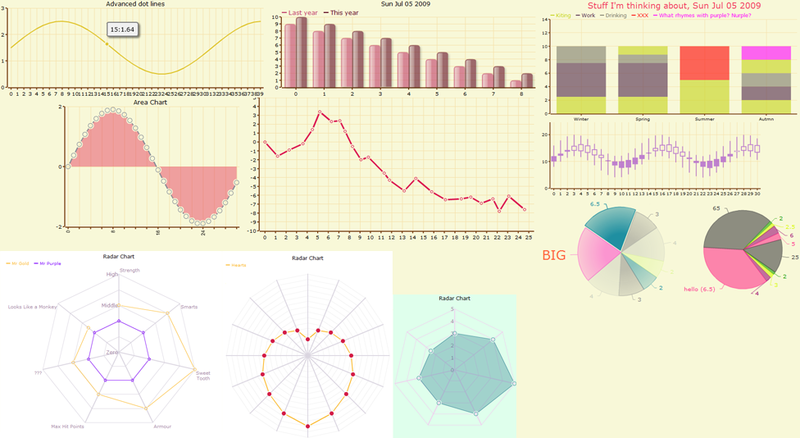 Open Flash Chart (OFC) is an easy to use solution for displaying any data as stunning Flash charts. OFC is licensed in LGPL.